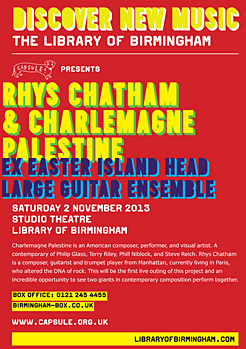 Next month, a stellar collaboration comes to Library of Birmingham – Rhys Chatham & Charlemagne Palestine perform in collaboration, this performance will be a UK exclusive. Two giants in composition, this show will be unmissable. 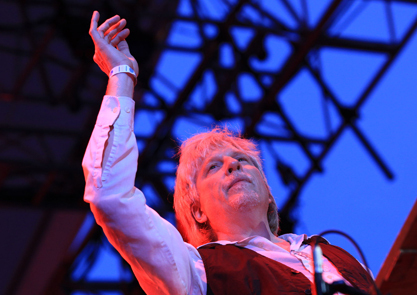 Selftitled Mag have published an interview with Rhys Chatham, touching on his part in the No Wave scene during the 1970s, his iconic mass guitar ensembles and his admiration for bands like OM and Sunn0))). “When I was in the no-wave scene, that was a curse word—’composer’. People like Lydia Lunch and James Chance would beat me up after a concert, like, ‘Oh, you conservatory musicians, we don’t want to hear anything about you!’ So I had to prove myself.